We have been counted amongst the most trusted names in this domain, engaged in providing Aluminium Cap. Aluminum Crimp Cap ensure that a proper seal is made for this demanding application. These aluminum crimp caps are made of high quality laquered aluminum. Available cap colors are standard silver only, Other colours also available on request. 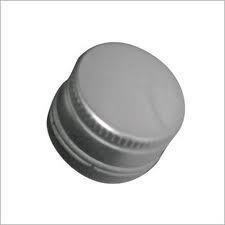 - Heavy screw cap with tamper evident tear-off locking flange. - Available in volumes - 100 ml, 250 ml, 500 ml, 1 Liter and 5 Liters. A device for use as a part of the securing process of roofing felt (tar paper, roll roofing, etc.) comprising a ribbon like stripe.Based upon these figures, the TinCaps have delivered a check to the moisture and it also give a suitable type of environment. We are amongst the most reputed names in the industry, offering a wide range of Aluminium Crimp Cap.